About a year ago, while attending Photo LA, I was introduced to the images of the Finish photographer Pentti Sammallahti. Sammallahti, who shoots exclusively on black and white film, has a magical way of using tonal relationships and often shoots panoramic formats. Inspired by Sammallahti’s work, I have recently been shooting with a 12mm lens (24mm equivalent on a full-frame camera) and my camera set to “monochrome” and a 16:9 aspect ratio. When working wide and panoramic, my compositional choices are not muchdifferent than when walking around doing my normal color street photography. I look for compositions with layers and dimensions, bringing some objects near and some further away. I try to fill the frame to the edges with stuff (sometimes the stuff is negative space) so that the composition appears to go on forever. 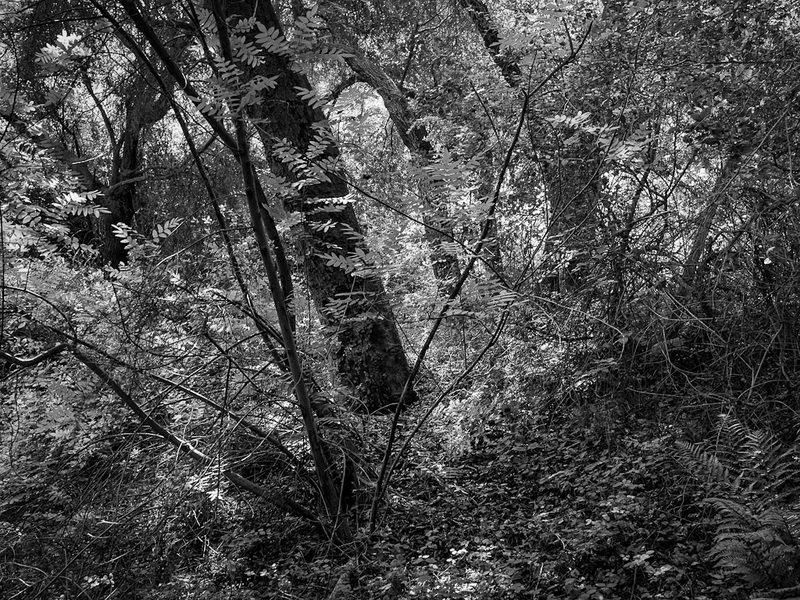 And, with black and white, I look for components of the image to be visually speparated by tonal differences – if shooting color, I would use differences in color. 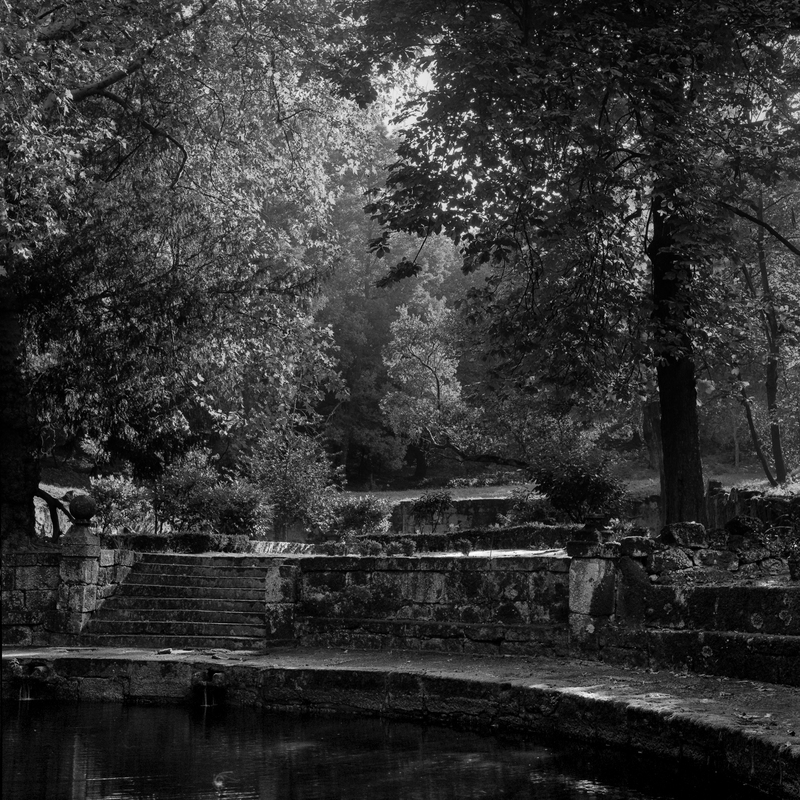 Oddly, I don’t think these images look like anything like the images in the book of Sammallahti that I have studied. His compositions usually have big wide open (snow covered) spaces. I suppose this is true inspiration; to be moved to make your art and not just to copy their art. When I showed up in Portugal with a vintage Rolleicord V twins lens reflex (TLR) camera and several rolls of medium format B&W film, Arthur Meyerson, master of color photography, looked at me askance. Of course, I had my usual pack of digital gear centered around the micro-four-thirds system, but with the promise of castles, churches, and gardens, I was hoping to find opportunities to do a little bit of B&W work. Our visit to Guimares was two-thirds of the way through our 12 day Portugal adventure organized and led by Keron Psillas and Arthur Meyerson. 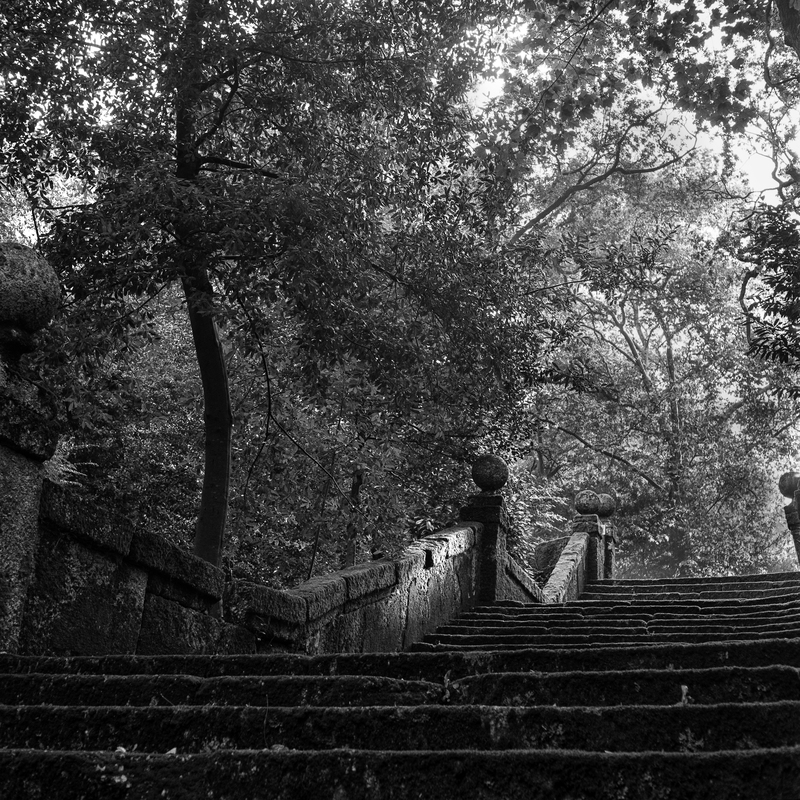 I had almost given up on using the Rollei until I saw these gardens with mossy steps and big over grown trees. It was spectacularly lush. The afternoon we arrived at the Pousada, the light was nothing special though I did get a unexpectedly beautiful sunset-moonset from the window in my room. But the following morning, with rain still dripping from the trees and mist in the air, the sun filtered in in magical patterns. There were several of us photographing that morning and I was the last one out, running so as not to be late for our departure to Porto. The Rolleicord V is the low-end of the Rolleiflex line, and this particular model was manufactured between 1954 and 1957. It sports a 75mm Schneider Kreuznach Xenar f/3.5 lens, which I believe is uncoated based on the glow that I see in the highlights of these images. This is a medium format film camera which uses 120 film and the negatives are 6 centimeters (or 2 1/4 inches) square. The camera itself is actually quite small (roughly 4x4x5.5 inches) and light (less than 2 lbs) for a medium format camera. To take an image, you look down on the waist-level view finder and compose and focus a reversed image (reversed, but not upside-down) on the ground glass. This is all done through the top lens, or the viewing lens. The taking lens is just below and contains the shutter. 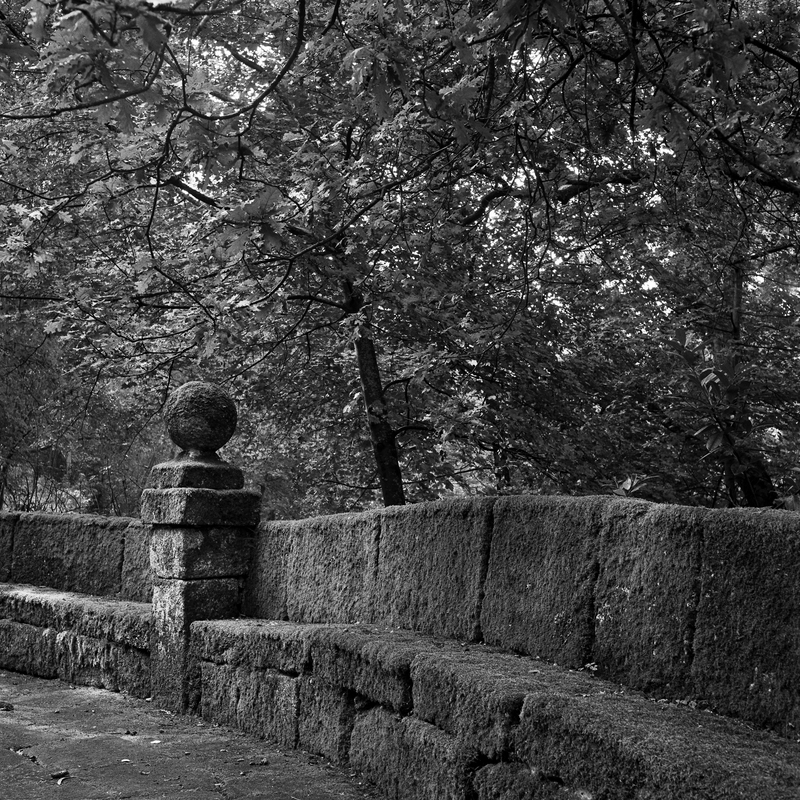 The TLR is a very simple camera which explains why it is still in perfect working condition even after 60 years. 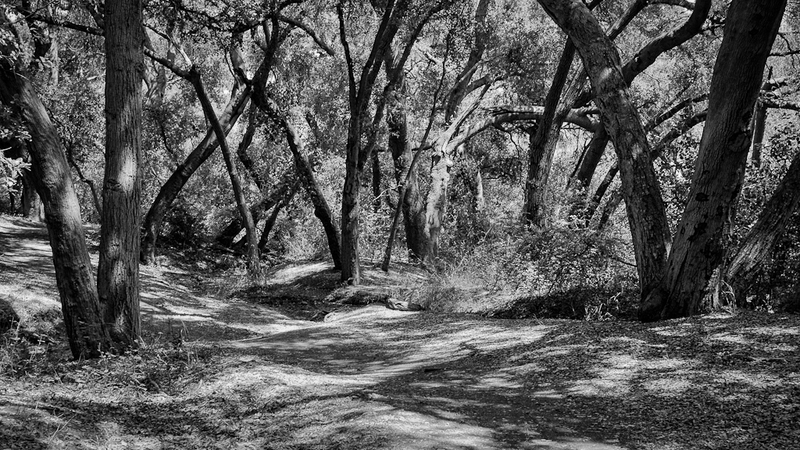 I’ve often complained (yes complained) that I live in the beautiful semi-urban/semi-rural Thousand Oaks area because there is limited street photography opportunities here. 45 miles out of LA and another 45 into Santa Barbara. It is the headquarters for several large corporations including Dole, Baxter, Amgen, and lots of B of A presence (used to be the home for CountryWide), the only walking traffic is at the shopping Malls, but the world famous Oxnard strawberry and raspberry fields are just 5 miles down the Camarillo grade. Suburban housing, both low-end and high, is surrounded by open space and hiking. Thousand Oaks didn’t get it’s name for nothing, the California Oak is protected here and can be seen on the street and in the hills. 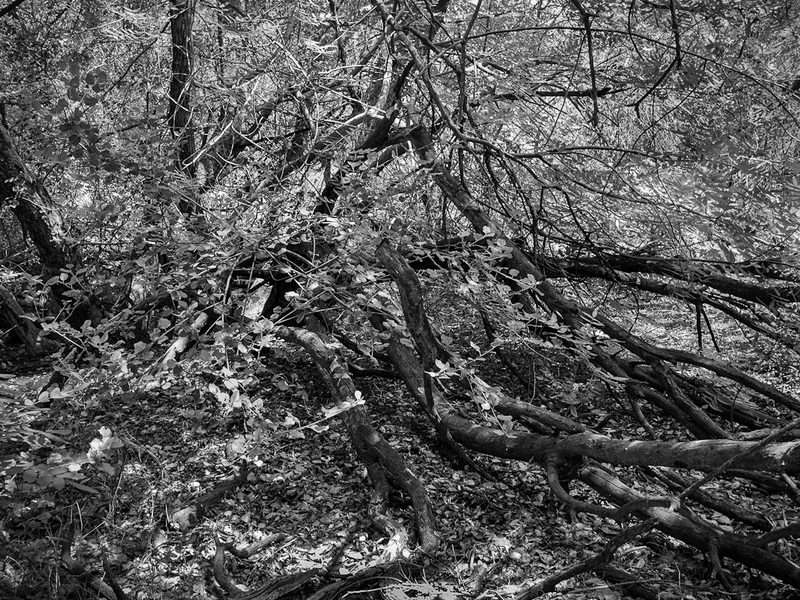 When I go hiking I usually take my Oly E-PL2 micro-4/3rds (you’ll notice the 4×3 aspect ratio) and I’ve been collecting images of the local trees for over a year. I’m not a naturalist. I’m not a great landscape photographer. Instead I bring a street-style to capture the subtle patterns that emerge in the chaos of growth. And I always process them in B&W. 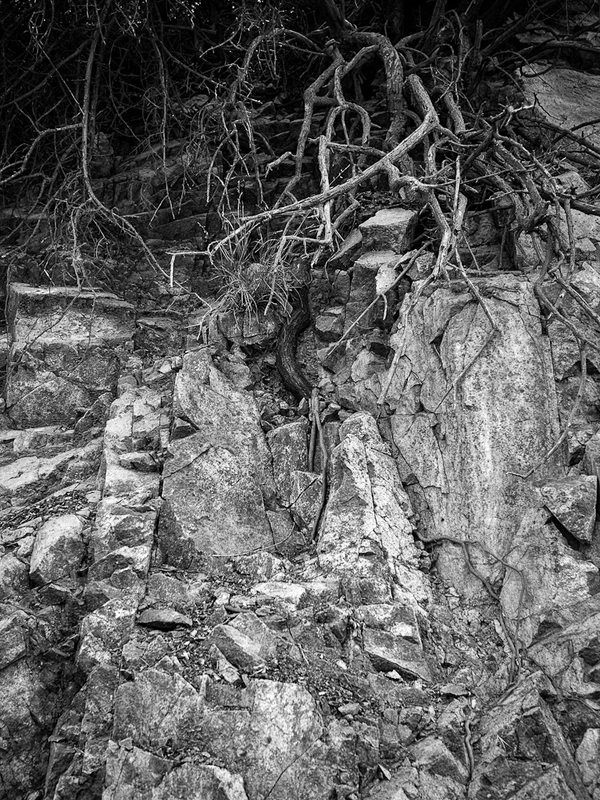 A funny thing happened during our photo walk through Limekiln State Park in Big Sur. After working a stream off of one trail, we doubled back and headed up a second trail and ran into this lush grove of flowering trillium and clover. We were all a bit tired and hungry. This was day 3 of our photography workshop and we’d been chasing the light up the coast most of the morning running on the standard photographer’s breakfast of granola bars and snacks. In addition, working landscape photography is a difficult task for me. It is something I am working on, but I’m more at home on the sidewalk as a nimble street photographer then a tripod-laden, rock climbing, landscaper. However, I have been working flower macros for the better part of the last three years with a great deal of emphasis on lining up the planes of objects and using narrow depth of field (as influenced by the spectacular photography of Martin Bailey). So when we found this patch of trillium and clover, while the others decided it was time for lunch, I, on the other hand, saw an opportunity to do a little ego boosting by falling back on something that was more familiar. I pulled out the 100mm macro, droped by tripod to the ground (I have a Gitzo Explorer tripod that can get you right to ground level) and starting lining up interesting layers of leaves and flowers. When I got to processing them I wanted to do something special and so chose this deep B&W style to bring out their textures and focus the light right onto the blooms. As we head into wildflower season, I’m thinking about how I can add to this collection. Two more images I made last weekend at the Salton Sea. The sea is a product of mother nature formed between 1905 and 1907. It was a playground during its heyday in the 1940’s and 50’s and is an important wildlife preserve. It is now in decline due to a combination of water diversion, agriculture, and time. Do we save the sea or let it run its course? It is difficult to visit this area without thinking about the fish. At the top northern most areas of the sea, the fish are mummified and whole. As you go south, where there is more water intake and moisture, the fish are decayed and skeletal. Finally at the very bottom is the marshy area of the Sonny Bono Wildlife Preserve. These two images are from the mid-area of on the east side where the beach is formed of beautiful pink barnacle shells. I just got back from a 3-day exploration of the Salton Sea. You can’t help but think about the water story and its politics in California. From Mono Lake to the Salton Sea, our landscape is forever changed by the growth of our cities and agriculture. It is balancing act, but in the meantime, it makes for darned interesting photography. Like many photographers, I have been fascinated with trees for some time, but it is only recently that I’m feeling comfortable with my renderings. My approach has been to look for the patterns created by the trees. In the upper image I found this arrangement of three (three is good). The way the trees are bending in different directions give me the feeling that they are dancing to some unheard early electronic music from the 70’s. In the lower image I saw the contrast of the grasses in front of the forest behind. Again, there is a subtle dance to these trees. 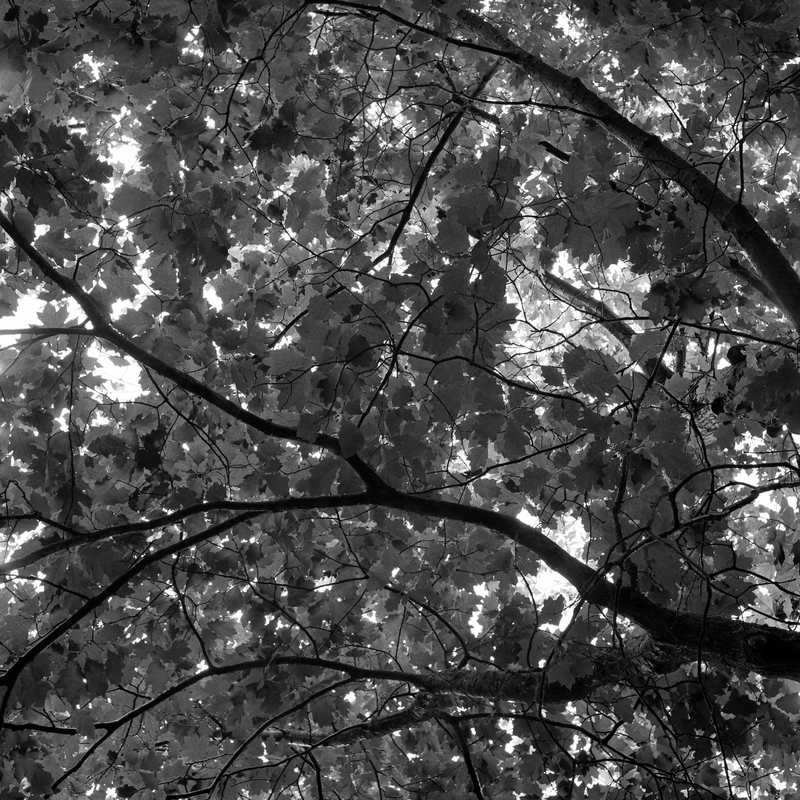 I used black and white to show off the contrasts of the yellow leaves against the rest of the tones in the scene.